That's our niece, the model/marveller. We haven't done much "permanent" landscaping at Forever Home because I am indecisive. 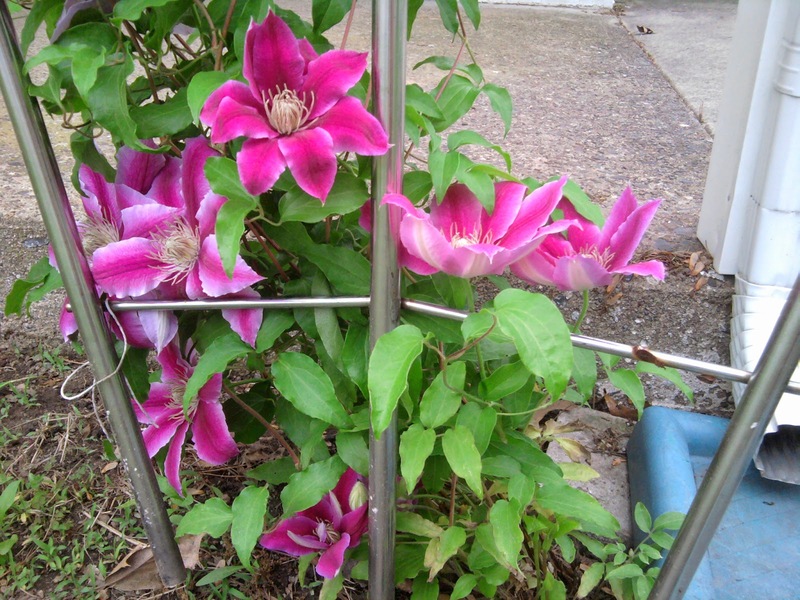 My last home had at least ten rose bushes in all colors (even orange and purple!) and they were a pain to deadhead plus they loved sprawling. So far we put down two azaleas and two mums I bought last fall without realizing they are perenials in our area. Our neighbors also left us this perenial surprise. 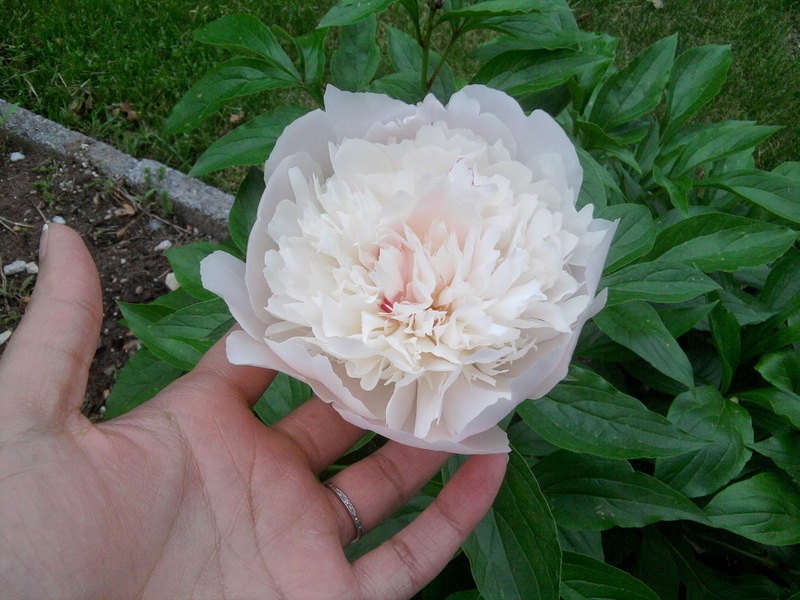 I found its name by googling "white flower looks like carnation" but can't find it again. My neighbor has a LARGE pink variation of this. There was also a surprise lily vine. Other than that we haven't planted much. 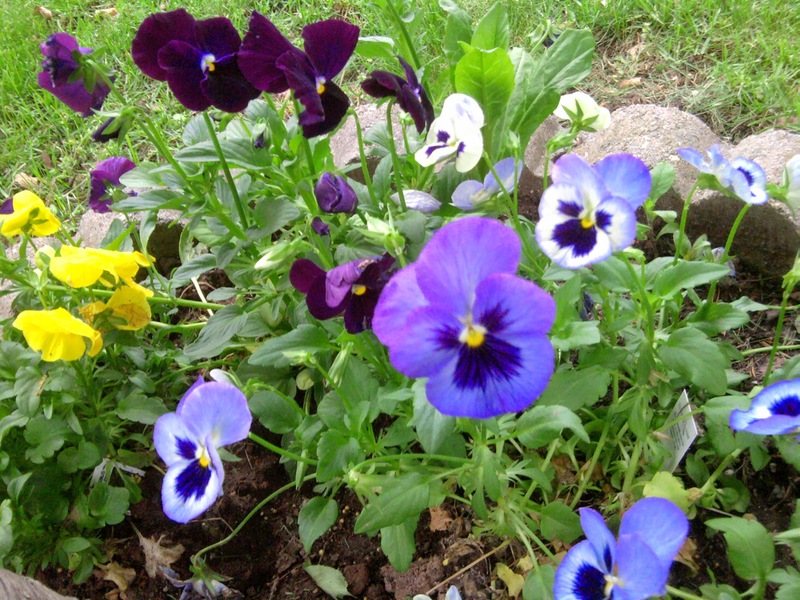 I threw in some pansies, impatiens and greenery annuals to keep weeds at bay. They should look nice when they fill in plus they buy us another year for plant decisions!